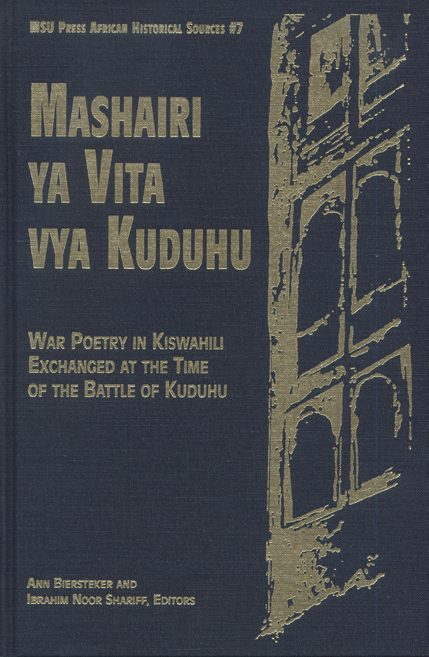 Mashairi Ya Vita Vya Kuduhu is a presentation and discussion of both manuscript and published versions of poems written by Lamu poets around the time of the Battle of Kuduhu. The poetic dialogue studied in this volume has played a significant role in the history of Swahili poetry, and its primary concern is to inform continued work in this area. The poems contained in this work were transmitted and preserved by speakers of Kiswahili and later collected and preserved by scholars. Chapter One contains the edited poems; Chapter Two consists of the translations. Subsequent chapters include accounts of the Battle of Kuduhu, editing and translating practices, and annotated poems and source versions. This work is presented as an example of the importance of research, fieldwork, and the consideration of available versions and alternative styles of presentation in the study of Swahili poetry. Ann Joyce Biersteker is a professor in the Program in African Languages at Yale University. Ibrahim Noor Shariff is a professor of African studies at Rutgers University.